The sampler was worked in plain cloth. I tried working this stitch with other embroidery stitches. 1- In this row one side is done in chevron stitch and the other side is worked in twisted chain. 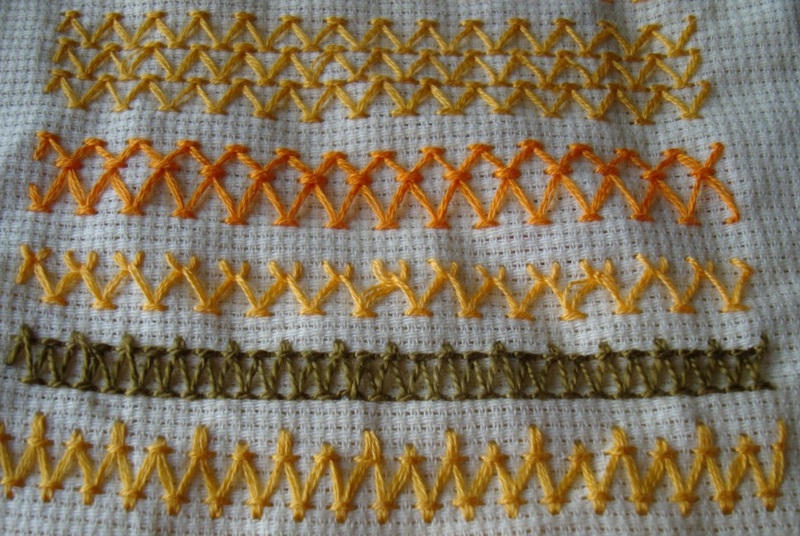 2-after working the chevron stitch, I worked three detached chain stitches in the spaces. 3-a row of chevron stitch with fly stitch variation in between. 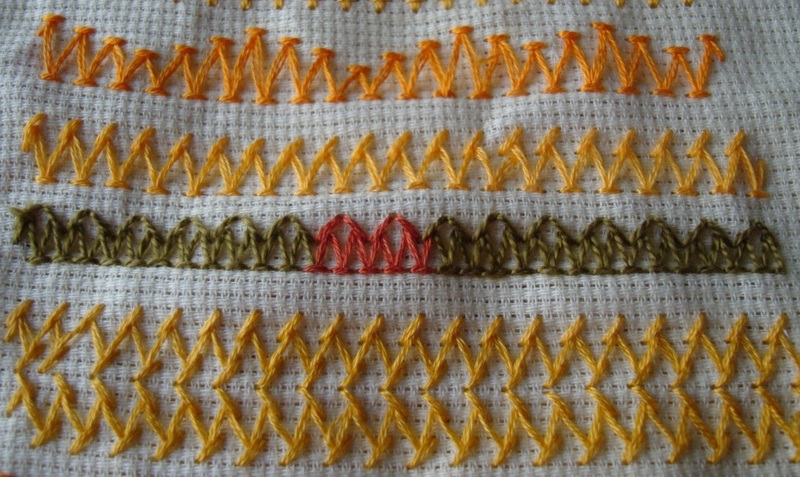 4-the chevron stitch is worked with double cross stitches. 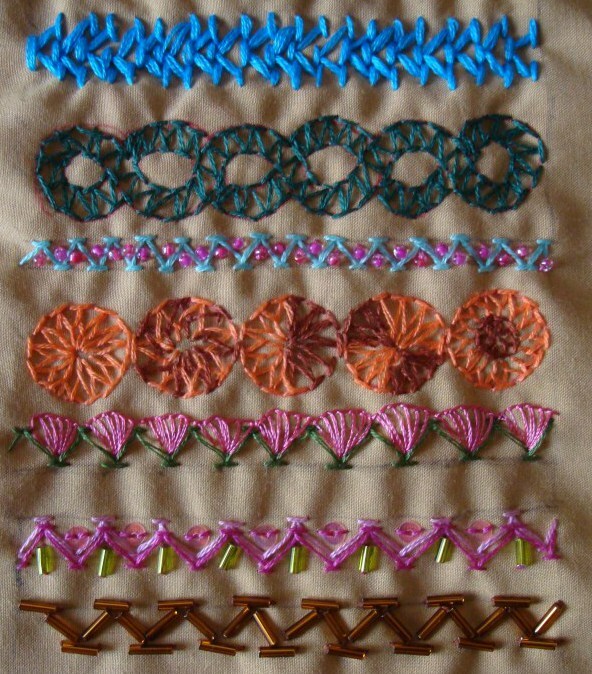 5- a row of buttonhole stitch with chevron stitch. 6- this row of chevron stitch is combined with closed buttonhole stitch. 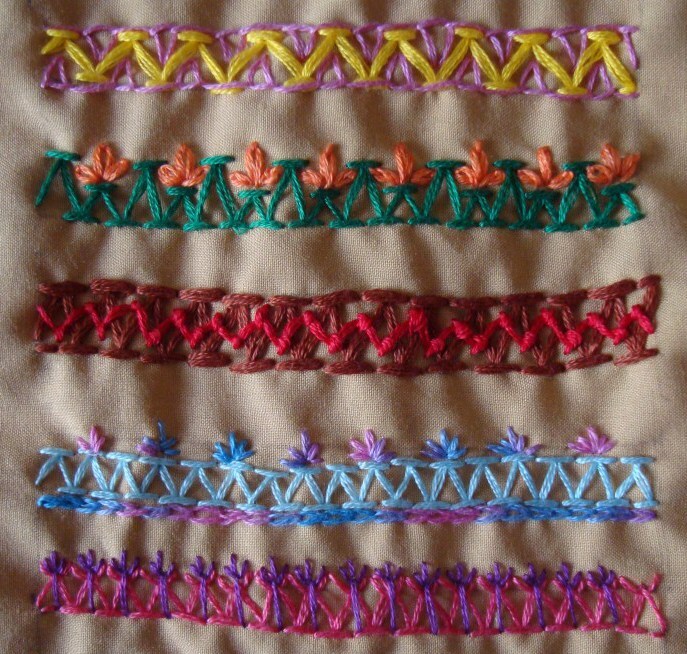 7- a row of chevron stitch, with two rows of closed buttonhole stitch. 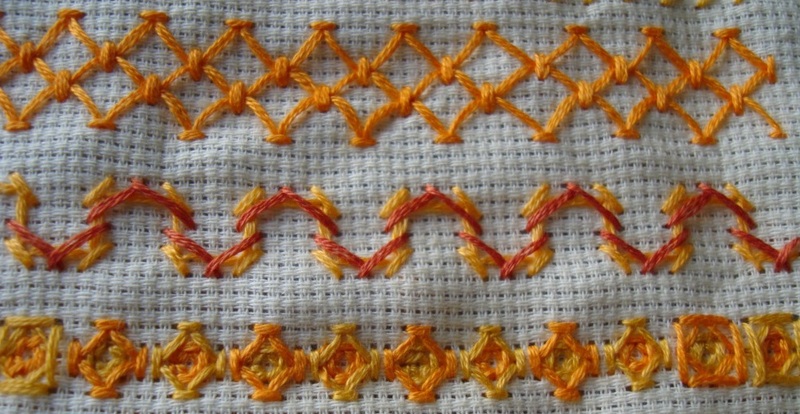 8- a variation of chevron stitch with detached chain stitches. 9- I worked coral stitch over a row of closd chevron stitch. 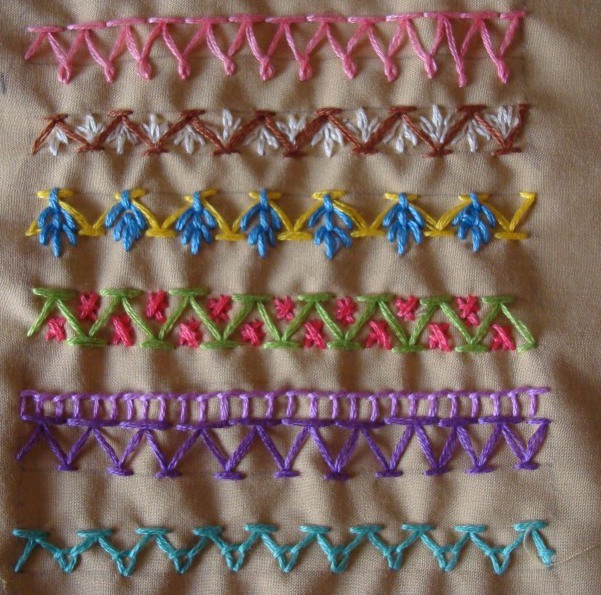 10- chevron stitch, with straight stitches and a row of chain stitch. 11-one part of the row is worked in chevron and the other part in fly stitch, and individual fly stitches are worked in between.